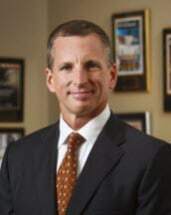 Since graduating from Marquette University Law School in 1993, Dennis Melowski has earned the reputation as Wisconsin's top DUI defense attorney due to his unmatched record of success in the field. In his career, Dennis' clients have had their drunk driving charges reduced or dismissed more than 450 times, including more than 90 complete acquittals in jury trials. No other attorney in the state can match this remarkable record. Known as an extremely skilled trial attorney, Dennis has consistently won vindication for his clients in even the toughest of cases. Most recently, Dennis won a complete acquittal of former state senator Randy Hopper in his highly publicized DUI jury trial, despite significant public sentiment against him. This victory received state and national media attention due to the effective trial strategy Dennis employed. His courtroom abilities in the Hopper case even garnered high praise from the local newspaper covering the case, which described Dennis as having "dominated the trial." In November 2012, Dennis made headlines again when he obtained a complete dismissal of OWI-Homicide charges for one of his clients. This outstanding result garnered media attention throughout northeastern Wisconsin. In July of 2013, Dennis obtained yet another remarkable result for a client in an OWI-Homicide case, prompting a front-page story in the Milwaukee Journal Sentinal. Dennis' client had been facing 15-years in prison, but was sentenced to only 90 days in the local jail with work release, an outcome the paper described as "unheard of." In December of 2014, Dennis obtained yet another unheard of result in an OWI-Homicide case when he was able to have his client plead no contest to a non-homicide charge and completely avoid a prison sentence. Dennis' string of non-prison outcomes for his clients in OWI-homicide cases is unparalleled in Wisconsin. Dennis has also been involved in several landmark DUI cases, including three argued before the Wisconsin Supreme Court. His argument in one of those cases convinced the court to completely change the law with respect to an issue involving repeat drunk driving offenders. His excellence in the field of DUI defense has earned Dennis significant recognition in the legal community. In an annual list of Wisconsin's top attorneys published in Milwaukee Magazine, Dennis has been voted by his peers as the state's top DUI defense attorney every year since 2005. Only a handful of attorneys in the entire state, in any legal field, have been voted to this list as many times as Dennis. National media publications have also recognized Dennis' work. In their November 21, 2011 issue, Newsweek named Dennis Melowski a "Leader in Criminal Defense," one of only eight attorneys in the entire country (and the only lawyer from Wisconsin) selected to this very exclusive list. The magazine touted Dennis as "one of the nation's top DUI defense attorneys." Newsweek honored Dennis again in 2012 when he was named a "Leader in Trial Law," one of only a handful of attorneys selected for the magazine's showcase of the country's top trial lawyers. Dennis has also achieved the highest possible rating of AV-Preeminent from Martindale-Hubbell, the country's oldest and most-esteemed lawyer directory. Dennis has also been designated a "Top 100 Trial Lawyer" by the National Trial Lawyers (formerly the American Trial Lawyers Association), the country's preeminent association of trial attorneys. Dennis has made the list every year since 2007. Dennis Melowski's success has made him a sought-after speaker at legal seminars in Wisconsin and elsewhere in the country, helping to educate other attorneys in the field of DUI defense. He is a frequent source of advice and strategy to attorneys around the state. Dennis' expertise was also requested by the State Bar of Wisconsin in authoring two chapters for the State Bar Traffic Law and Practice manual, considered the definitive treatise on traffic law in Wisconsin. In 2013, Dennis became a nationally published author when he was selected by Aspatore Publishing as a co-author of a book in its prestigious Inside the Minds series, which provides readers with proven legal and business intelligence from the nation's most respected businesses and law firms. Dennis' book, Inside the Minds: Witness Preparation and Examination for DUI Proceedings, is an authoritative, insider's perspective on the best practices for examining key witnesses in DUI prosecutions. Even the law enforcement community has invited Dennis to address new recruits and seasoned veterans on mistakes to avoid in investigating drunk driving cases. In addition to his DUI defense practice, Dennis has, on occasion, taken on a very select number of criminal cases with a high degree of success. Several of these cases made headlines, including winning the only acquittal of three defendants charged in connection with the murder of a Manitowoc police officer, and another complete acquittal of a client facing more than 40 years in prison for attempted homicide and a variety of other charges. When not practicing law, Dennis enjoys spending time with his wife, Maggie, and their two children, Molly and Luke. An accomplished endurance athlete, Dennis is a four-time USA Triathlon All-American. He has also qualified for and competed in the Ironman World Championship in Hawaii six times, with a personal best time of 9:46:51.